Last week there was the exciting news that Mars still has flows of briny water occurring now, and this week there is more water-related news: additional findings from the Curiosity rover that the huge Gale crater was once a lake or series of lakes a long time ago. 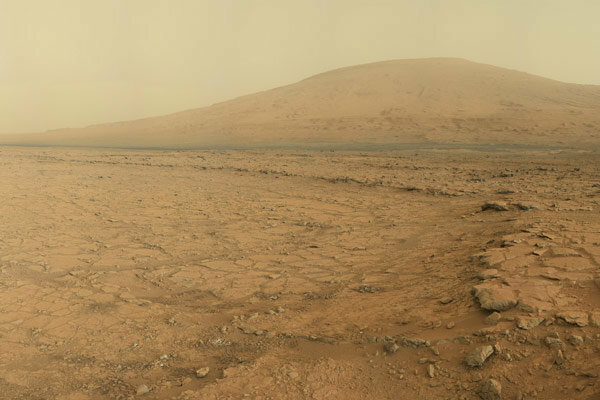 Curiosity had already found evidence that there used to be shallow lakes and streams in this area, but the new data confirms this and suggests that the lake(s) once filled Gale crater and were long-lasting, explaining the formation of Mount Sharp in the middle of the crater and also providing a potentially habitable environment for life. “Observations from the rover suggest that a series of long-lived streams and lakes existed at some point between about 3.8 to 3.3 billion years ago, delivering sediment that slowly built up the lower layers of Mount Sharp,” said Ashwin Vasavada, Mars Science Laboratory project scientist at NASA’s Jet Propulsion Laboratory in Pasadena, Calif., and co-author of the new Science article to be published Friday, Oct. 9, 2015. From the study of various rock outcrops examined by Curiosity, the mission team determined that water deposited large amounts of sediments into Gale crater, which helped to form the foundation of Mount Sharp. Analysis suggests that the bottom layers of the mountain formed over a period of about 500 million years, built up gradually by the lakes and rivers. 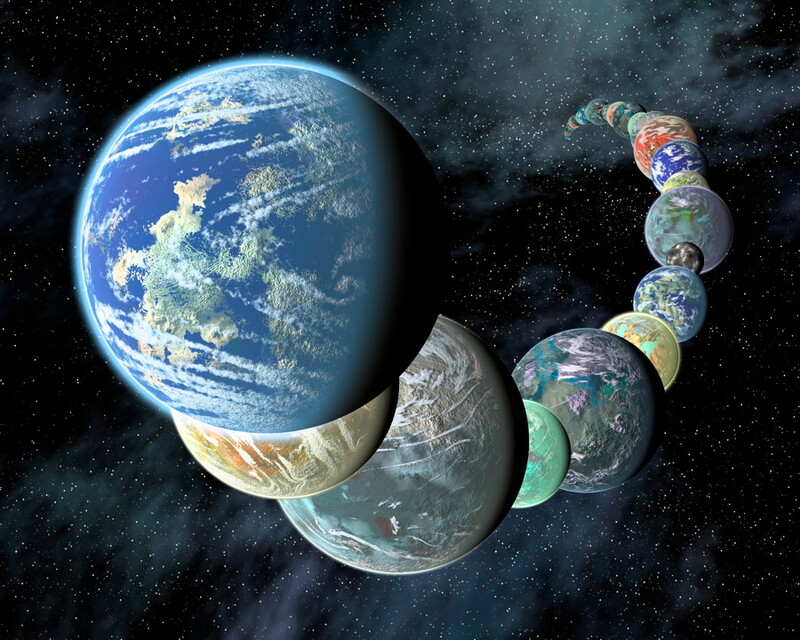 The lakes would have lasted for long periods of time, but may have expanded and contracted repeatedly over a period of hundreds of millions of years. The mudstones are one of the key pieces of evidence for standing bodies of water in Gale crater. A large amount of sediment was deposited in Gale crater, which is now recorded in the many layers of the lower portions of Mount Sharp. It is also noted, however, that the total thickness of the sedimentary deposits, which interacted with water, could extend up to perhaps 800 metres (one-half mile) above the crater floor. The upper portions of Mount Sharp, above 800 meters, show no evidence of water-deposited layers, so it is thought that they came later, with those strata deposited by wind. 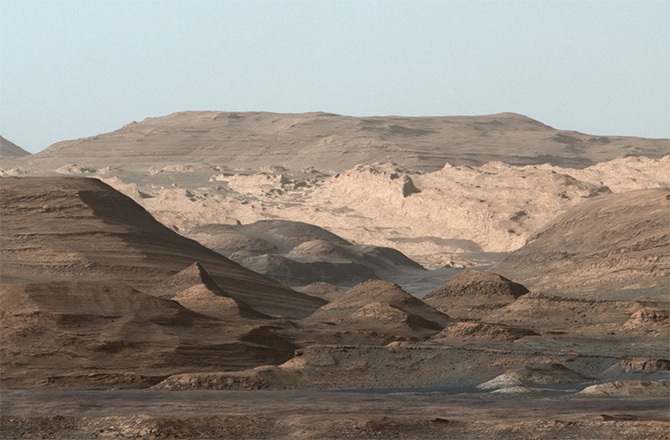 The area where Curiosity is now, at the outer portion of the base of Mount Sharp, was once a lake bottom. It is not yet known where the water came from, but at least some of it likely came from snowfall and rain. For water to remain stable on the surface, the atmosphere must have been thicker than it is now, as other evidence over the years has indicated. 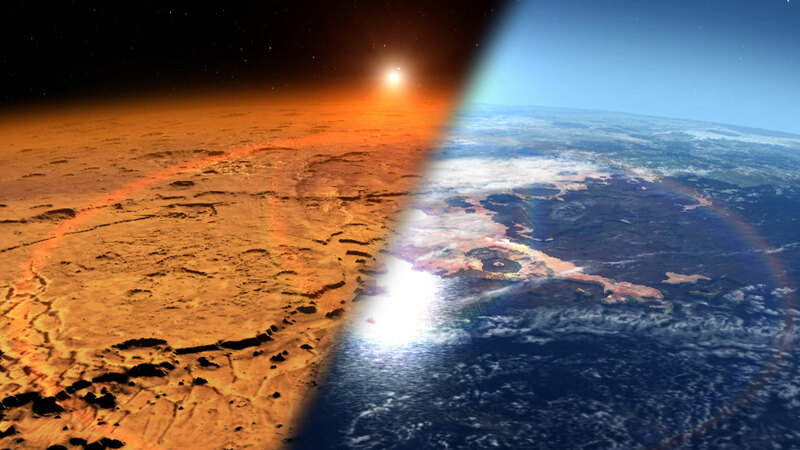 Whether it was a lot warmer or not is still a subject of intense debate, but just the fact that there used to be long-lasting lakes on Mars’ surface, perhaps even a northern ocean, shows that the climate was a lot more hospitable and Earth-like than it is now. 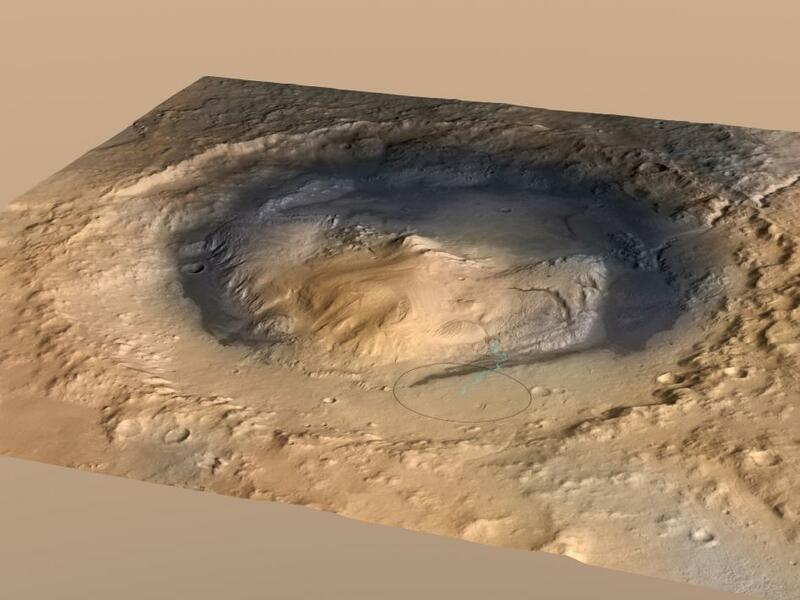 The results also suggest that such crater lakes were probably common on ancient Mars, before the atmosphere thinned and the climate became much colder. There may have been many such habitable environments on early Mars, but whether life actually did start at all is still an unanswered question. More information about the Curiosity rover mission is available here. For anyone who is interested in the full-length article I wrote with the authors of the Science paper for Caltech/JPL, you can see it at the Caltech website: http://bit.ly/1RwmBxv. Truly an inspiring buch of people!